Your training comprises two parts – flight training and ground school. During your ground school, you'll learn bits of "book knowledge" you'll need to be a proficient pilot. You have several options for ground training, but the goal is to successfully complete your aviation written test. Flight training takes place in the airplane. You'll learn the skills and gain experience to safely operate an airplane on your own – and pass your check ride. 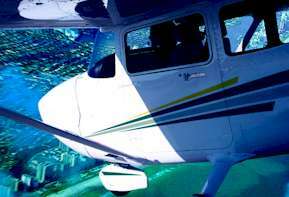 You must be at least 16 for a student certificate and 17 for a private pilot certificate. There is no maximum age limit. You must be able to read, speak, and understand English. You must take a FAA required medical exam every two years.